Item # 317440 Stash Points: 2,495 (?) This is the number of points you get in The Zumiez Stash for purchasing this item. Stash points are redeemable for exclusive rewards only available to Zumiez Stash members. To redeem your points check out the rewards catalog on thestash.zumiez.com. 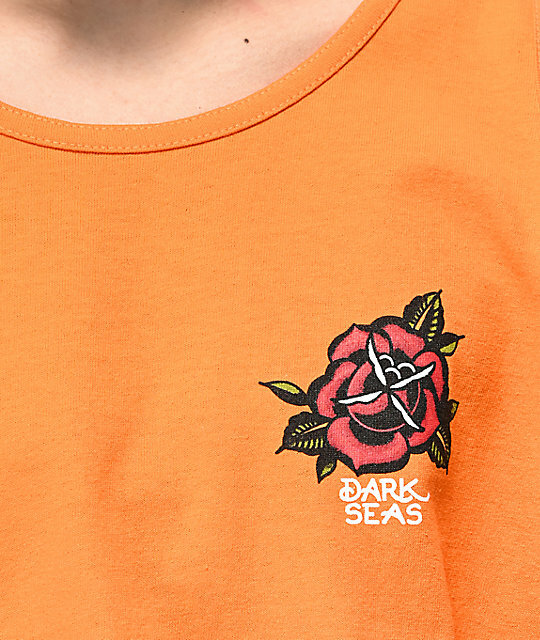 Prepare your warm weather outfits by grabbing the Dark Seas Utopia Orange Tank Top. 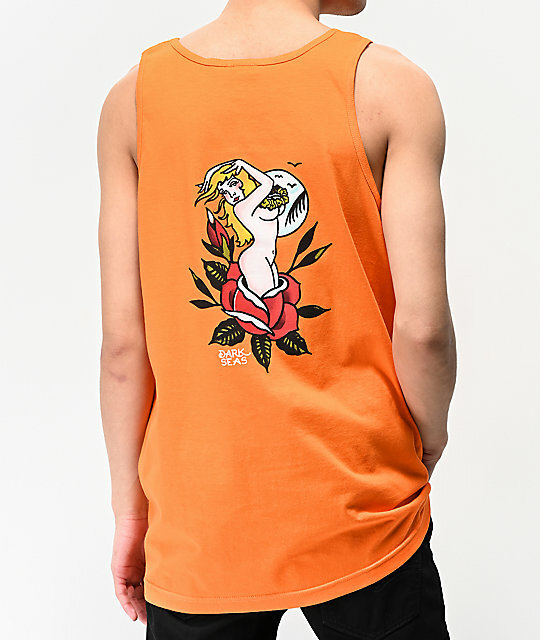 Offering a classic tank top design, the cotton constructed garment features a rose logo graphic on the left chest while the back displays a large image of a naked female emerging from a red rose in an American tattoo style composition. 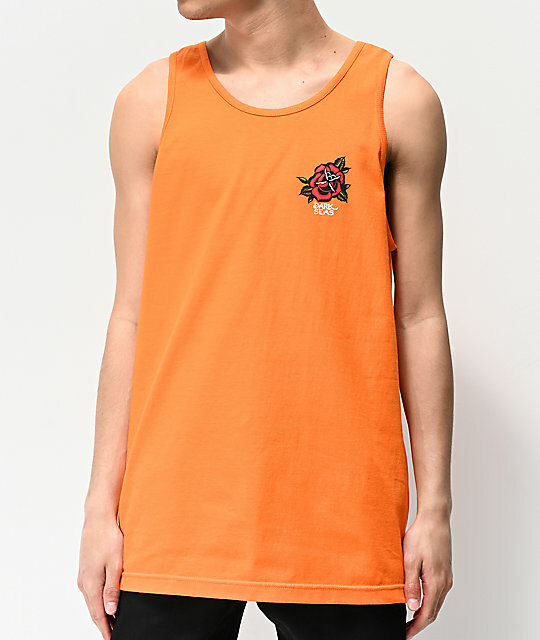 Utopia Orange Tank Top from Dark Seas. Screen-printed logo graphic on left chest, large graphic on back.